The Brevard County Board of County Commissioners has issued a ban on open burning throughout the county due to ongoing drought conditions that are favorable to the eruption of wildfires. The ban is effective in both incorporated and unincorporated areas of the county and includes campfires, bonfires, trash burning and other incineration. On Tuesday, Gov. 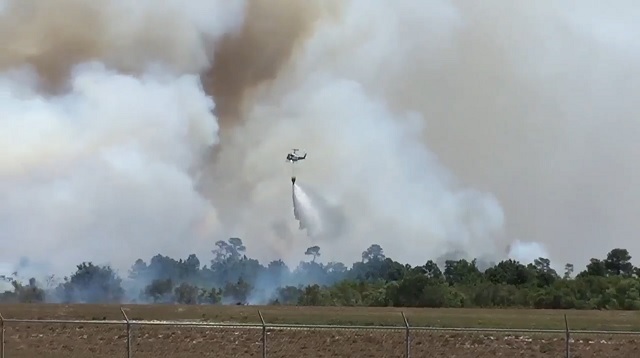 Rick Scott declared a state of emergency following increased wildfires across the state. The Keetch-Byram Drought Index currently averages in the 500-549 range in Brevard County on a scale of 750. There are currently more than 100 active wildfires across the state, including 4 active brush fires in Brevard County. The burn ban will remain in effect until conditions change significantly. Most surrounding counties have also declared burn bans until drought conditions have eased. Little relief from the drought is anticipated prior to the beginning of the rainy season, which begins June 1.